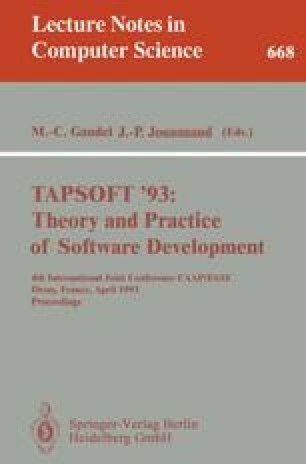 This paper is the first of a series which are intended to contribute to tractable development methods for concurrent programs by exploring ways in which objectbased language concepts can be used to provide a compositional development method for concurrent programs. The property of a (formal) development method which gives the developmentprocess the potential for productivity is compositionality; interference is what makes it difficult to find compositional development methods for concurrent systems. This paper shows how object-based concepts can be used to provide a designer with control over interference; it also proposes a transformational style of development (for systems with limited interference) in which concurrency is introduced only in the final stages of design. The essential idea here is to show that certain object graphs limit interference. A companion paper discusses the problems of interference more fully and shows how a suitable logic can be used to reason about those systems where interference plays an essential role. There again, concepts are used in the design notation which are taken from object-oriented languages since they offer control of granularity and way of pinpointing interference. A third paper is in preparation which defines the semantics of the object-based design notation.